*If you have not been notified about your placement by July 30th, please get in touch with Peter Masters ASAP. What is the Beantown Summer Classic? The Beantown Summer Classic is a six day event held every summer on the second weekend of August. The tournament features three boys divisions. This is an individual entry event. There are tryouts for this event in addition to the players who are pre-selected through our invite process. The last skate will be on Sunday, August 4 and will end no later than 5pm. Each tryout will consist of at least three skates. If there are more than 30 players enrolled teams will be formed for the purpose of scrimmage games. If the tryout has less than 30 skaters then skill sessions will be run with half ice scrimmages over the course of the three skates. Do they think a player has the ability to be a D-1 college player or high end D-3 college player? If not then they wont be a fit for the Beantown Summer tournament. Once they make that determination they then form a list and rate the players one thru however many players they think meet that criteria. Once the two tryouts are finished the group of scouts will meet and cross reference their lists to come up with one master list which the staff in the Beantown office will work off of. The highest rated players will get invites and if there is a player that drops out last minute then the office will work off that tryout list inviteing the next player on the list. Check-in one hour prior to your first scheduled game time. You will not be allowed to skate unless you’re fully paid for the tryout. Also because of the short-turn around from the tryout to the Summer Classic you need to bring a check for $375 at check in ( (payable to: Beantown Classic). This is the cost of the PRO Division. If you are selected to participate in the Classic this check will be deposited on Monday the 4th , if not selected the check will be shredded. Check-in one hour prior to your first scheduled game time. You will not be allowed to skate unless you’re fully paid for the tryout. The 01 birth year players can qualify for selection in both the Pro (99-01’s) and the Futures Division (01-03’s). This will give you a good idea of how many players from each age group qualify for each division. 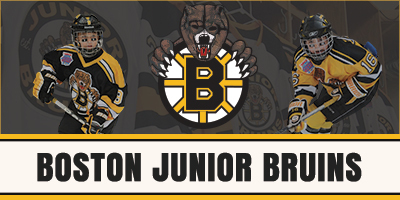 Because of the short-turn around from the tryouts to the Summer Classic you need to bring a check for $305 (payable to: Beantown Classic) which is the cost of the futures division at check in. If you are selected to participate in this division your check will be deposited on Monday, August 3rd, if not selected the check will be shredded. If you are selected for the pro division you will have a balance of $80 to be paid upon check-in at the Summer Classic. Check-in one hour prior to your first scheduled game time. You will not be allowed to skate unless you’re fully paid for the tryout. Because of the short-turn around from the tryout to the Summer Classic you need to bring a check for $305 to the check in (payable to: Beantown Classic). If you are selected to participate in the Beantown Summer Classic this check will be deposited on Monday, August 3rd, if not selected the check will be shredded. 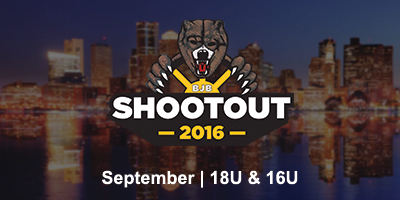 Q: Why choose the Beantown Summer Classic over other summer showcases? 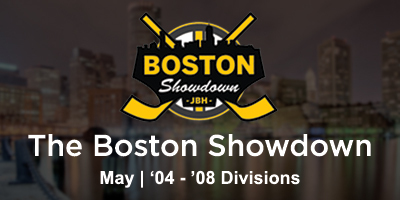 A: There are countless events that are offered all summer to hockey players of all levels but the Beantown Classic provides the highest quality standard of player selection. It also provides the greatest scouting opportunity of the summer. No other event, held in the New England area, comes close to the amount of NHL and college scouts that the Summer Beantown provides each year. Q: How many players are selected to the Summer Classic from tryouts? A: It is tough to say and it changes a bit from year to year depending on the quality of the participants. The “tryouts” are more of an evaluation to be honest. If one year there are 50 high end players at the tryouts we will make room for many of those players in the main tourney. If there are only 15 high end players the next year then we will take less than the year before. The rule of the thumb for this event is if the evaluators think you are a surefire D-1 prospect you will get in. If you rated as a high end D-3 player you have a good chance but acceptance is not assured. Q: Who will be doing the evaluations at the tryouts and how does the process of making the Summer Classic work? Once the three tryouts are finished the group of scouts will meet and cross reference their lists to come up with one master list which the staff in the Beantown office will work off of. The highest rated players will get invites and if there is a player that drops out last minute then the office will work off that tryout list inviting the next player on the list. Q: What do the tryouts consist of? Q: How long until I will know if I have been selected for the Summer Classic? A: You will find out the Tuesday or Wednesday after the final tryout has finished. Q: What criteria does a player need in order to be invited to the Summer Classic and not have to tryout? A: Players that doesn’t have to tryout, either are on NHL Central Scouting’s list, have a Division I college offer or deal in places, or have been recommended to us by and NHL scout or a D-1 college scout.